This spacious home in Carriage Hills South is very warm and welcoming. 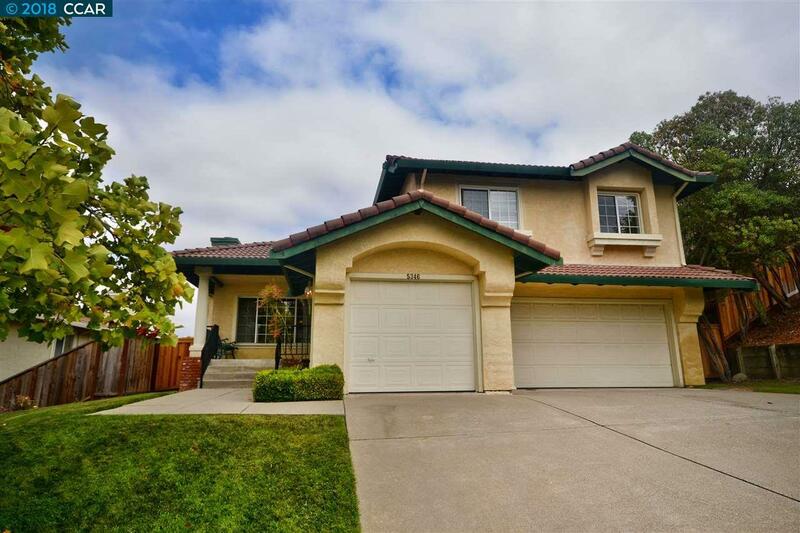 This great neighborhood is nestled in the rolling hills between Pinole and El Sobrante. Quiet Country Living, yet minutes to Orinda BART and highways 80 and 24. There is a community club house and neighborhood pool for all homeowners to use. The home backs up to miles of open space and is close to San Pablo Reservoir, Kennedy Grove and Wildcat Canyon Regional Parks for outdoor recreation. These original owners have taken pride in maintaining their home. There is fresh paint, new carpets and new fencing. The 3 car garage is shiny and clean for the new owner. There are 4 huge bedrooms, 3 full baths. The master bedroom is especially large with a private sitting/dressing area, two closets and lots of extra storage space. There are 2 cozy gas fireplaces for the upcoming winter months.There is a large eat-in kitchen as well as a formal dining area for entertaining. Natural light provided by skylights and lots of windows.